Things aren’t great for Mexico’s tourism industry right now. American visitors are being scared away by drug-related violence and reports of assaults in many of Mexico’s top tourist spots. The fact that the State Department is issuing travel warnings for American tourists on a regular basis isn’t helping at all. Mexico’s new government has decided to shut down 21 of its tourism offices around the country in response to declining tourism. Money that was previously spent on supporting those offices will supposedly be shifted and used instead to build a train that links Cancún to other popular tourism spots on Mexico’s Yucatan Peninsula. The Mexico Tourism Board is also being dissolved as part of the change. Mexico is facing a perfect storm when it comes to tourism. 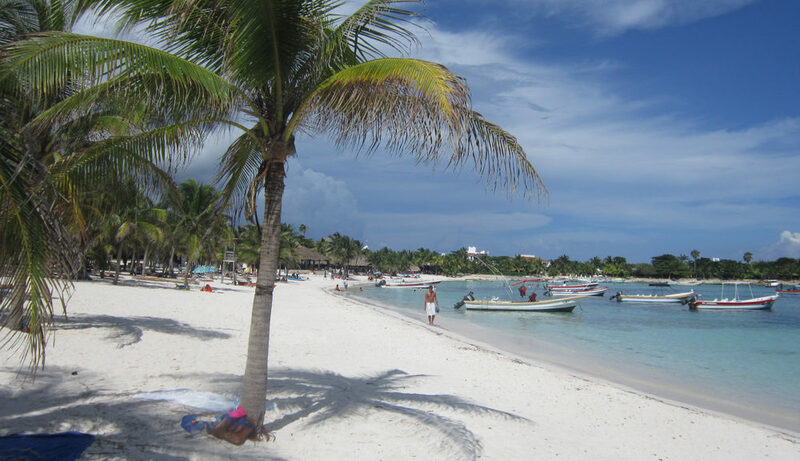 Fears of drug-related crime are keeping many Americans from booking trips to Mexico. The bad press over Mexico’s drug issue is being elevated by constant talk of a new border wall from President Donald Trump. Mexico’s tourism industry is seeing its sharpest decline among groups that typically book stays at high-end resorts. Even nature doesn’t seem to be cooperating with Mexico’s tourism industry at the moment. Foul-smelling seaweed has been washing up on beaches and making it impossible for tourists to enjoy the shore. Cuts to tourism funding mean that Mexico’s tourism industry can no longer use advertising to reach as many potential visitors as it once did. Occupancy is down significantly in 2019. What’s more, rates have fallen by about 15 percent. Hotels and resorts are seeing big revenue dips. This all comes at the same time that new taxes and increases in utilities are impacting hotels and resorts in Mexico. This year’s spring break in Mexico could be abysmal. Headlines were made when 14 people were killed in Cancún during a span of 36 hours last April. Those still planning to go to Mexico this spring is being warned about violent crime, armed robbery, carjacking, kidnapping, extortion, sexual assault and widespread gang activity. Big names in Mexico’s tourism industry are currently in talks with the country’s government to form some type of partnership that will fill in some of the gaps left by the shuttering of Mexico’s tourism offices. The last of the offices are set to close by June of this year. Major travel companies like Journey Mexico, Pleasant Holidays and Apple Leisure Group have all expressed concern over the Mexican government’s decision to essentially leave the tourism industry hanging. Where are tourists going now that they are turning away from Mexico? Travel to the Caribbean and Europe is growing. In fact, both regions are seeing growth in the double digits. Mexico’s tourism industry could lose even more ground in the years to come if changes aren’t made. Maybe if the Mexican government actually tries to crack down on crime and enforce things instead of being complacent and tied to the drug cartels and gangs, then they wouldn’t have travel advisories and tourists avoiding the areas. Its not the tourism department, its the government and police not doing their job because they’re deep in the pockets of the criminals. Why is AA adding more flights to Mexico if tourism is down so much?